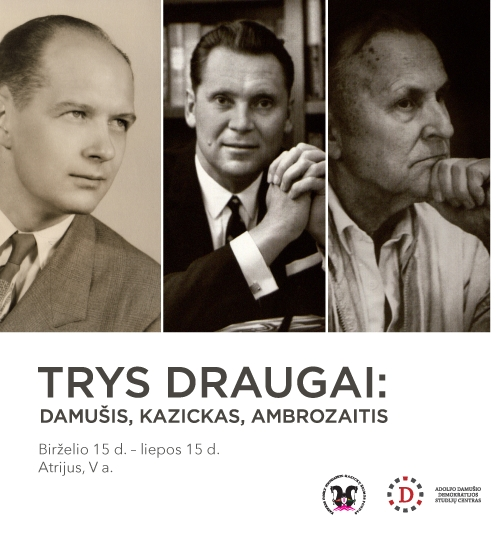 06/19/2018 - Exhibition at the National Library: "Three Friends: Damusis, Kazickas, Ambrozaitis"
Many young campers have been waiting for this week at the Guronys village the entire year. 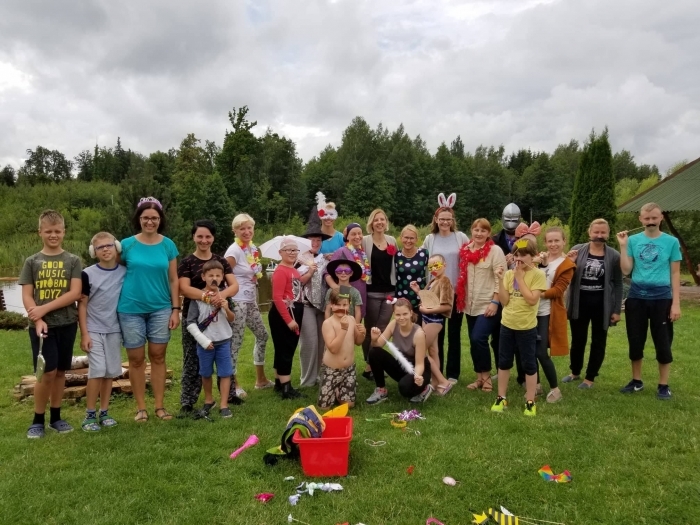 National Alopecia Association once again invited everyone affected by alopecia disorder and those fighting cancer to spend 5 days far away from all the stereotypes, labels and insecurities. 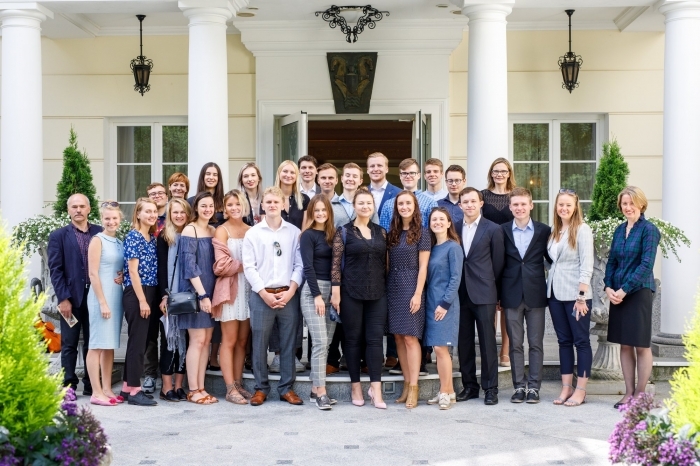 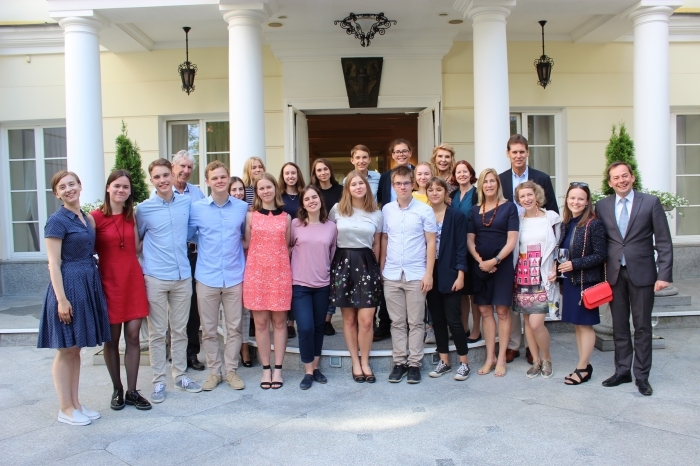 On July 6th he Kazickas Family Foundation team invited We Connect Lithuania program's participants to the Kazickas family residence in Vilnius. 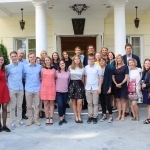 News portal 15min shares news about new Global Lithuanian Leaders and Kazickas Family Foundation initiative We Connect Lithuania. 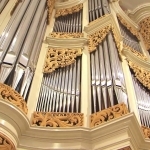 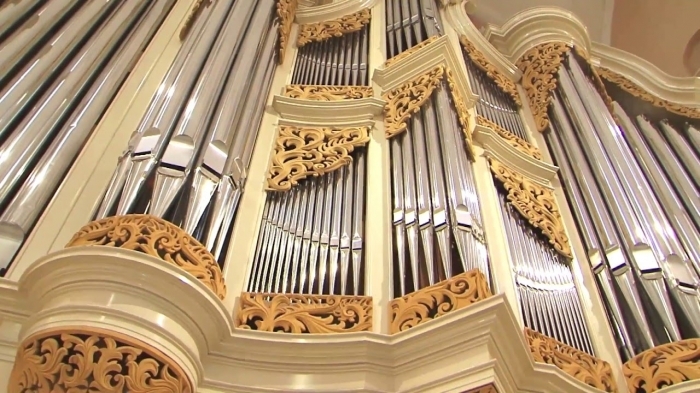 Beautiful moment from St. Casimir church in Vilnius where everyone was invited to the Sacred Music Hours concert. Siauliai Boys and Youth choir "Dagilelis" led by Remigijus Adomaitis and Lithuanian Art Ensemble "Dainava" from Chicago led by Darius Polikaitis performed. 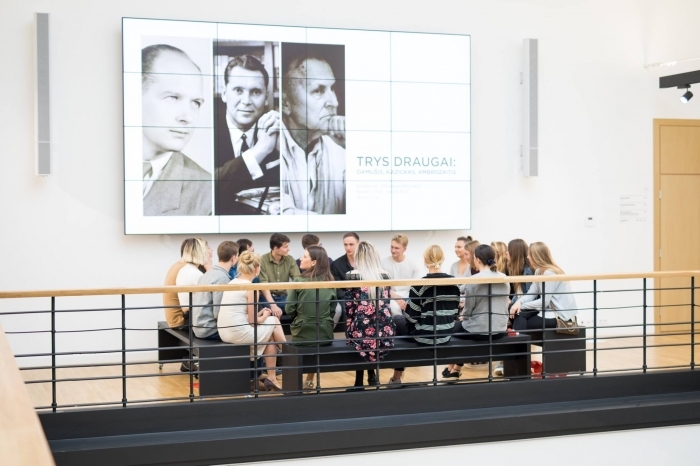 We Connect Lithuania participants, organizers, supporters and friends gathered last Monday at the Martynas Mazvydas National Library to give program an official start. 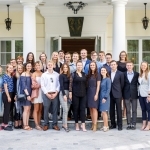 Program matches high potential Lithuanian youth from all over the world with leading companies, charities, social enterprises, and innovative startups in Lithuania for unforgettable 6 weeks to discover the modern and innovative country. 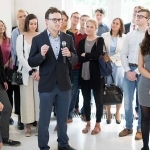 Kaunas University of Technology welcomed guests: Dr. Joseph P. Kazickas' son John Algirdas Kazickas, KFF Vilnius office director Zenonas Bedalis and KFF Vilnius office program coordinator Agne Vertelkaite. 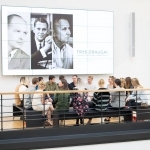 During the meting J. 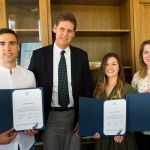 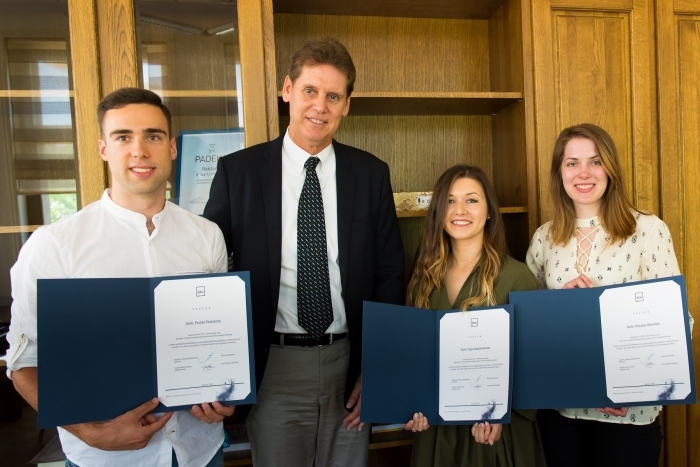 A. Kazickas presented four KTU students with the scholarships. 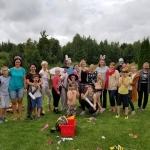 On June 14th Kazickas family invited ASSIST program's current students to the Kazickas family residence for the annual farewell get together. 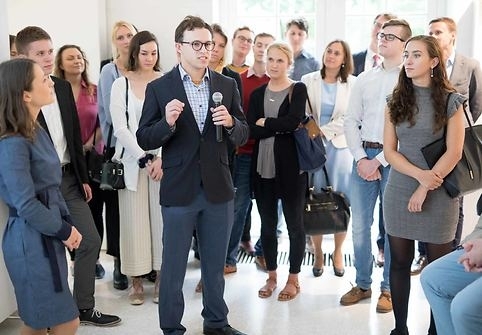 It has become a tradition to meet and greet new students and catch up with the ones who already had a chance to spend a year at the American private boarding schools either recently or many years ago. 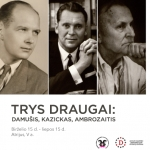 Exhibition at the National Library: "Three Friends: Damusis, Kazickas, Ambrozaitis"
On June 15th exhibition "The Three Friends: Damusis, Kazickas, Ambrozaitis" opened at the National Martynas Mazvydas library, followed by a two day conference "Political Case for Freedom and Lithuanian Diaspora: Legacy, Present Concerns and Expectations". 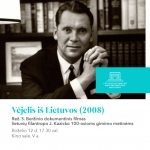 On the evening of June 12th, to remember J. P. Kazickas, documentary by S. Berzinis "Vejelis is Lietuvos" (Breeze from Lithuania) was introduced during the A. Damusis Center Political Studies days at the National M. Mazvydas library.